The Albuquerque is for those who want a rugged and durable wedding band coupled with a clever design. 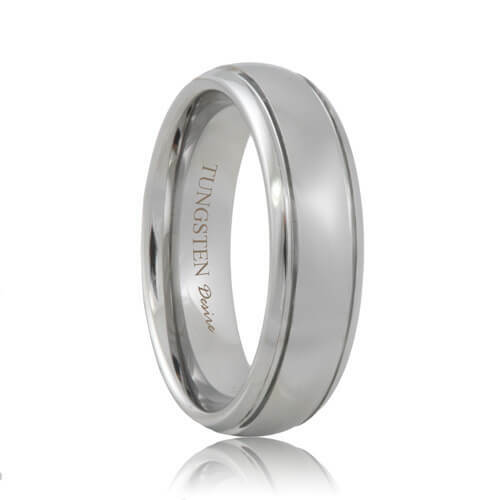 This tungsten ring's polished dome gives you a traditional and distinguished look while the two polished grooves give the band uncanny character. All of our tungsten rings come with a lifetime warranty and lifetime sizing to ensure a perfect fit forever. Most sizes ship within 1 business day. Free Lifetime Warranty and Lifetime Sizing; pay no restocking fees or deductibles! 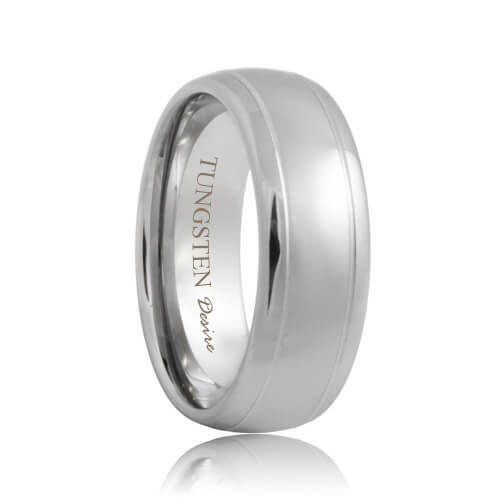 I decided to get our wedding rings from Tungsten Rings & Co after I heard so may good things from a few of my friends who had used Tungsten Rings & Co for the tungsten wedding bands. I was not disappointed at all. The whole process from when I visited the website to receiving the ring was great! The customer service was amazing. I sent so many emails back and forth while decided on what style to choose. They answered all of my questions and helped me make my choice. Tungsten Rings & Co was also able to exchange the wrong size for me free of charge. The ring is superb quality and looks amazing, I could not be happier. Thank you Tungsten Rings & Co for this wonderful experience!